Click here to request club information. Not interested in renewing at this time. 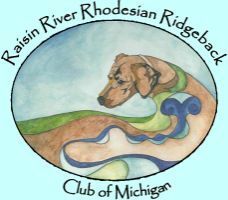 By clicking the Submit button I (we) agree to abide by the rules of the American Kennel Club, and by the Constitution and Bylaws of the Raisin River Rhodesian Ridgeback Club of Michigan. I (we) have read a copy of the Club’s Code of Ethics and agree to abide by the same. I (we) am (are) 18 years of age or older, and in good standing with the American Kennel Club. After clicking submit you will be brought to the payments page where you can submit dues via check or paypal.